Converting or printing files to PDF allows PDF files to be viewed among people who might not have the original software with which the original file was created. As documents are shared among associates and friends, you may need to edit PDF information to the PDF file without editing the actual document. 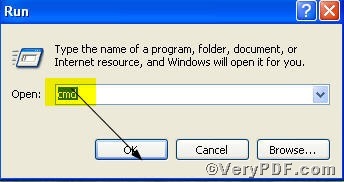 This article will explain how to edit PDF information using Advanced PDF Tools Command Line. 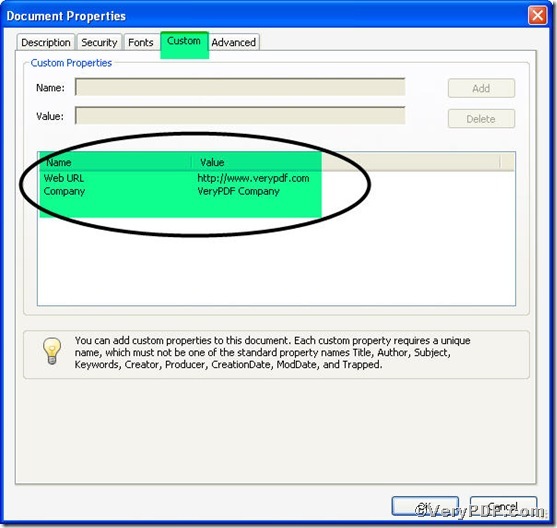 –y to edit new custom properties to an existing pdf file and overwrite original custom properties. you can find that the new information-company=VeryPDF Company,Web URL=http://www.verypdf.com-was successfully edited. If more information is needed, you are welcome to visit http://www.verypdf.com. 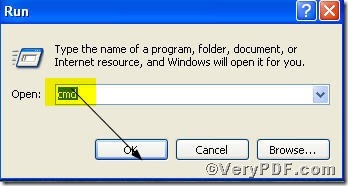 How to add custom descriptions to pdf files? This entry was posted in Advanced PDF Tools and tagged Advanced PDF Tools Command Line, command line, edit pdf information. Bookmark the permalink.